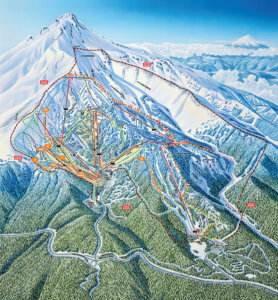 Known for its diversity and awesome terrain, Mt Hood Meadows offers a spectacular skiing holiday for all levels of skiers and snowboarders. Featuring the most varied and exciting terrain in the Northwest, this resort features gentle slopes for beginners, some of the best cruising intermediate terrain in the state, challenging back country trails and unique terrain parks. Mt Hood provides a big mountain adventure and an unforgettable experience. A big mountain experience. Largest night ski area in the nation. Terrain parks for all levels – 4 lit up after dark. Family-friendly terrain park – a place for all ages to improve their skills. At Mt Hood Meadows there is more on offer than just world-class skiing and snowboarding with amazing adventures adding to your ski/board winter experience. Mt. Hood Meadows is located 90 minutes out of Portland in the Mt. Hood National Forest you will fly into Portland Airport. Ask our Active Travel Experts to assist you in prearranging transfers or a rental car for your stay. 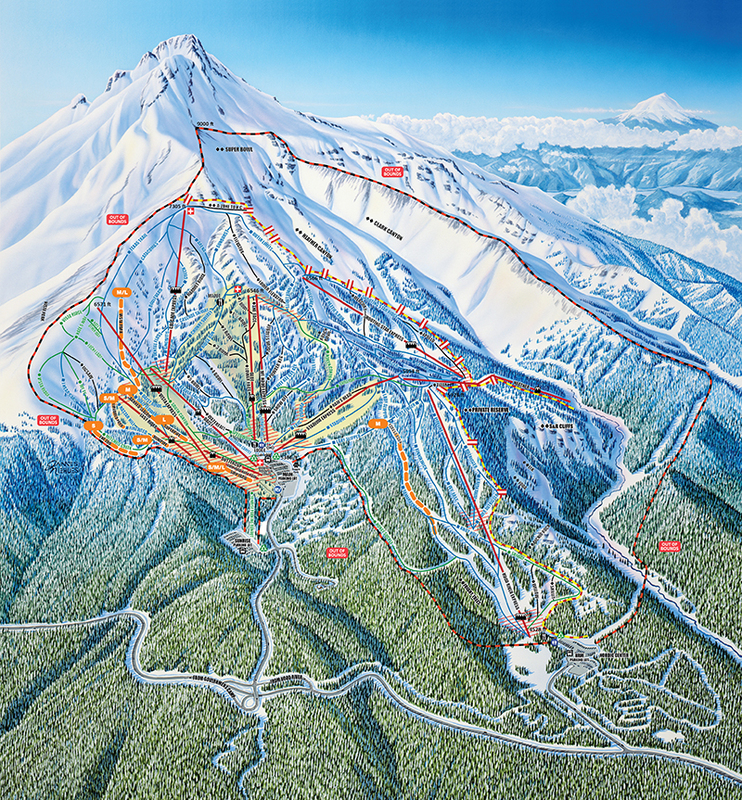 Mt Hood Meadows has a variety of accommodation options to choose from. Contact our Active Travel Experts for insider tips on where to stay and tailor-made ski/board experiences. Sign up for our latest ski/board deals, special offers and travel inspiration.